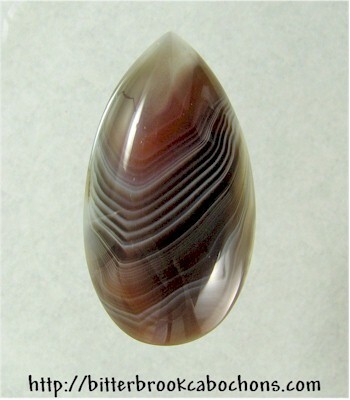 Botswana Agate teardrop cut cabochon with chevron-like swirling. This one's thick at 8.5mm and hefty, too. Good for a substantial pendant! 40mm x 22mm x 8.5mm. Weight: 51.15 carats.